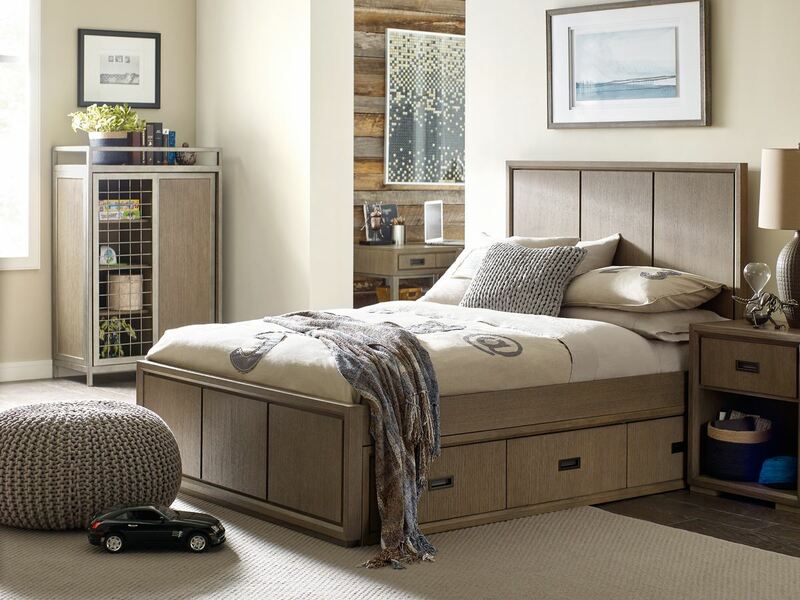 Rachael's Hudson youth collection combines functional storage options with imaginative details and timeless design, enabling her pieces to be loved from a young age to a college dorm room. Multipurpose, customizable pieces bring originality and longevity to this sophisticated line suitable for every age. To complete the look, select hardwoods with quartered White Oak Veneers sport a weathered Greige finish accented by industrial metal framing, and Oil Rubbed Bronze Inset Hand Pull hardware is discreet and functional.